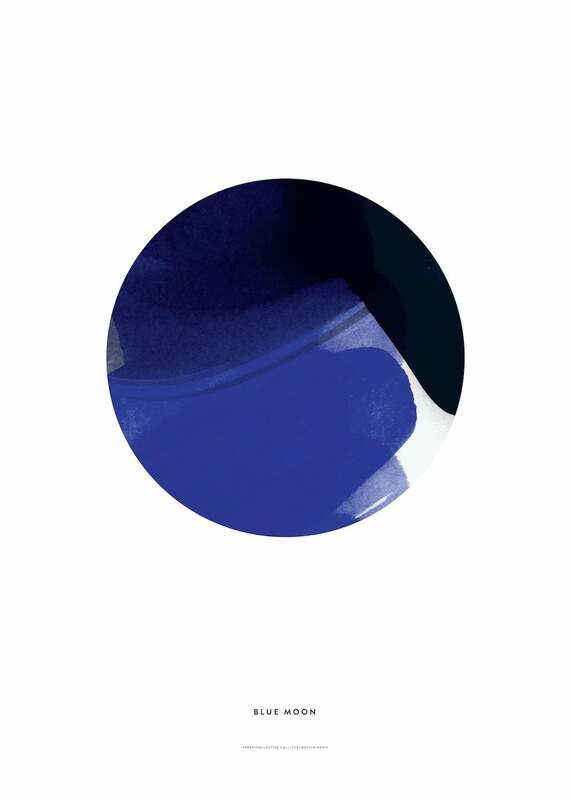 Blue Moon plakaten fra danske Paper Collective er designet af All The Way To paris. Plakaten er trykt på 200 gr. papir. Plakatens varenummer er PC6002 og EAN stregkoden er 5713450001781. 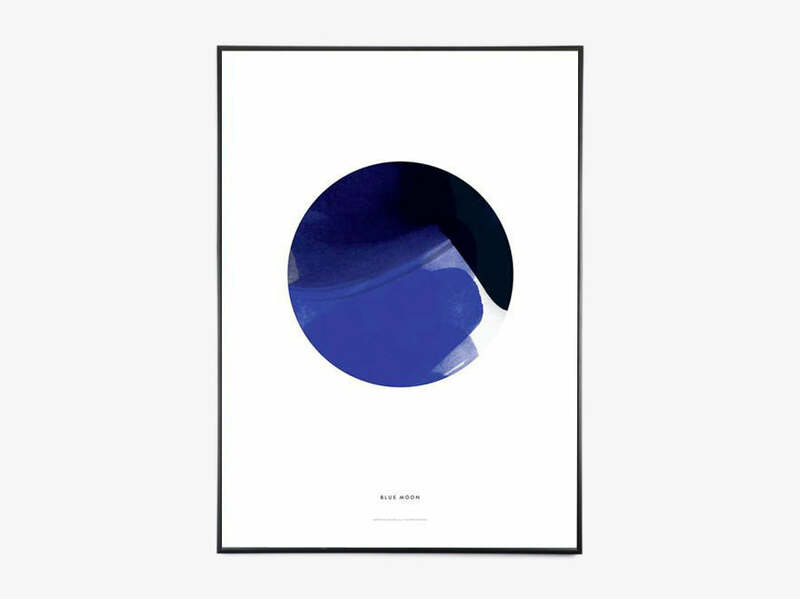 Paper Collective siger selv dette om plakaten: This print is based on ATWTP’s popular Moon Calendar for Paper Collective that through beautiful watercolor paintings illustrates different phases and faces of the moon. As the year and season changes, so does the moon and the colours. From the cold icy january to the red blood moon of summer, each moon tells a unique story.. Vi har det fulde sortiment af Paper Collective plakater.